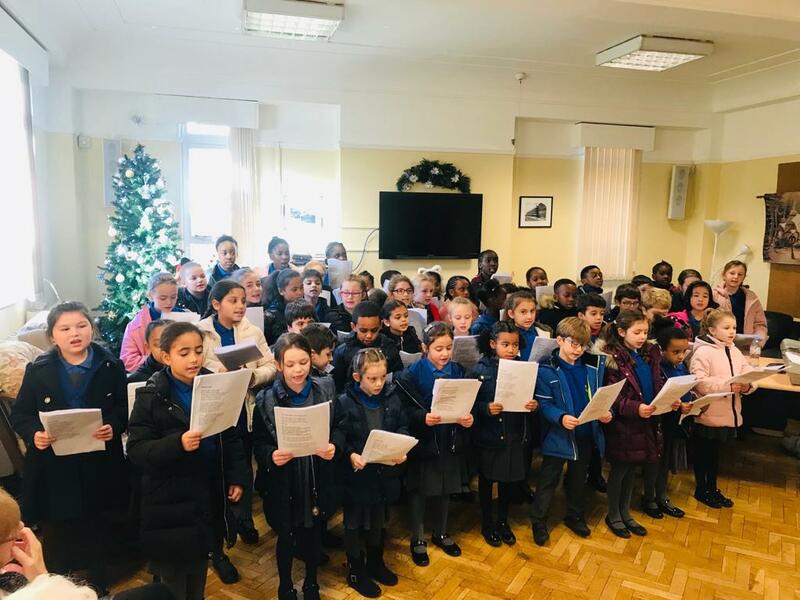 St. Mary's Church of England Primary School | Choir spreads Christmas Cheer! 20 Dec Choir spreads Christmas Cheer! 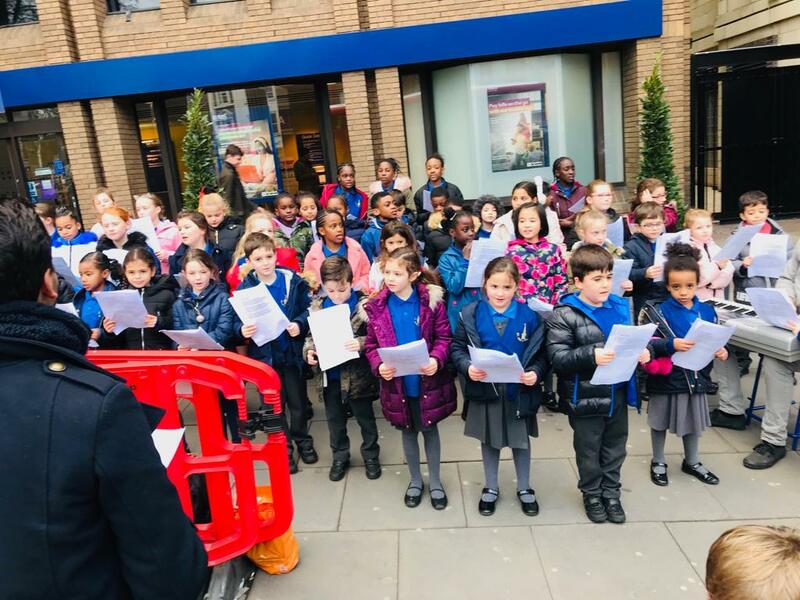 Our school Choir did a marvellous job of spreading some Christmas Cheer around our local area. They performed amazingly to support our Christmas Service, before heading off to Isleden House to perform some Christmas Songs in front of the residents. 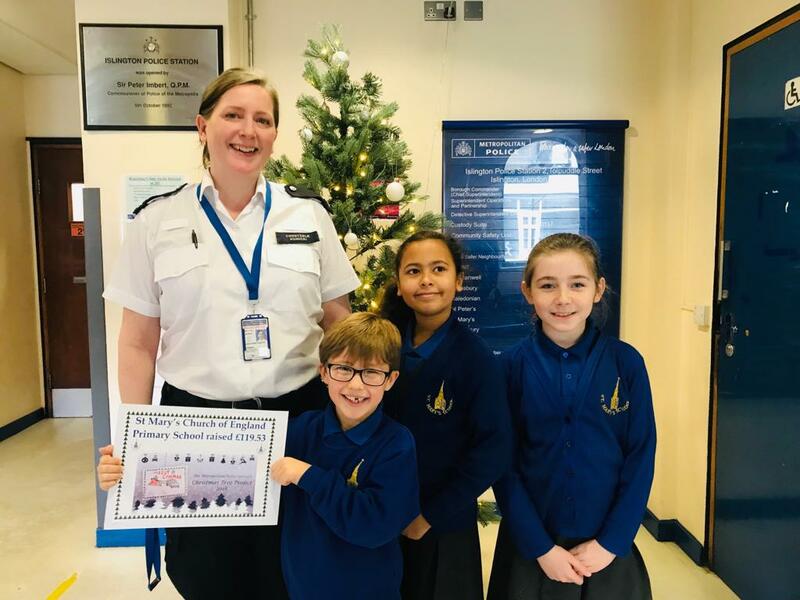 They then went Carol Singing down at Angel to raise money for the Metropolitan Police’s Christmas Appeal – raising money to help supply disadvantaged children with Christmas presents. They performed amazingly and raised £119.53 for charity – so well done to everyone involved – you’ve lived the Christmas message!